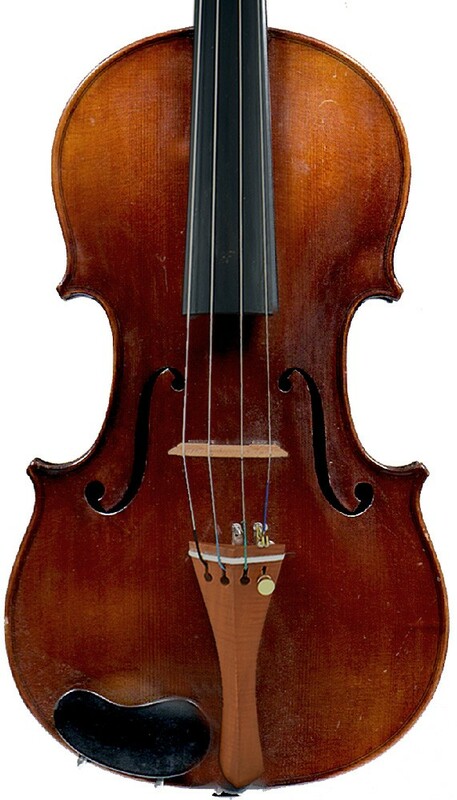 A beautifull old 4/4 French certified violin made by by the famous Laberte-Humbert, ca. 1920. (not just from their workshop). 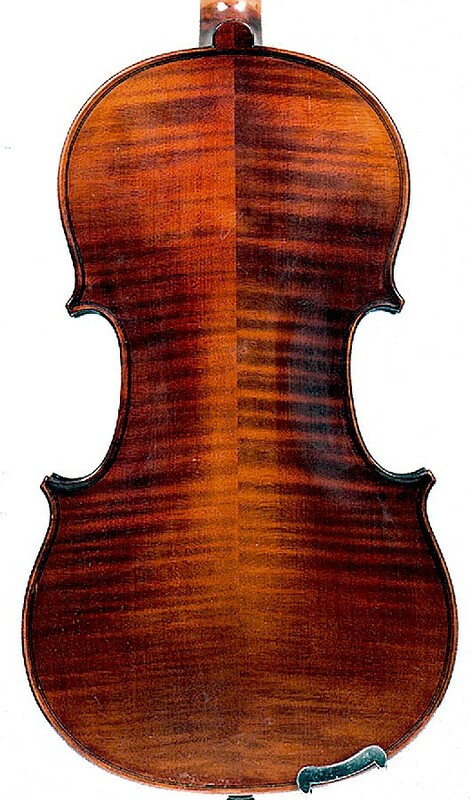 The violin is numbered and original labeled, and made under direction of Marc Laberte himself. Very nice workmanship and choice of woods : flamed back, ribs, neck, scroll. 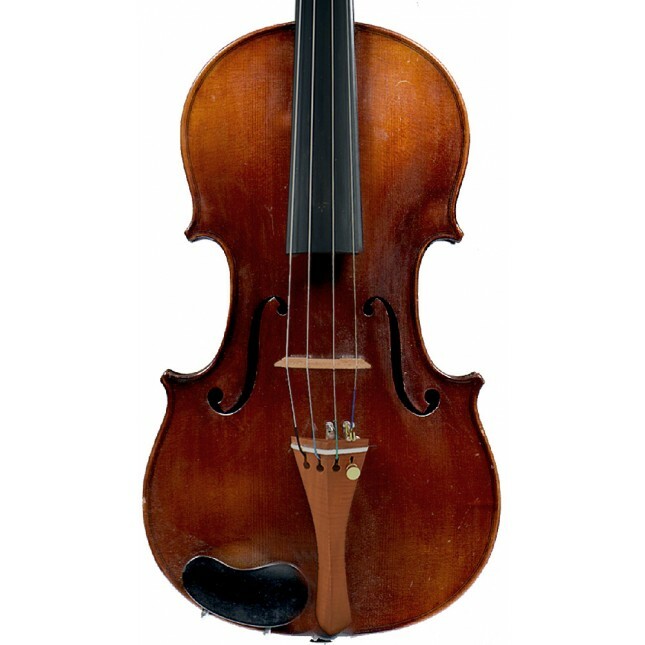 The violin comes with a reliable certificate (J. Rampal from Paris- included) - so you can buy with confidence. This violin comes with a new set of strings and a new chinrest and original tailpiece and is ready to play. 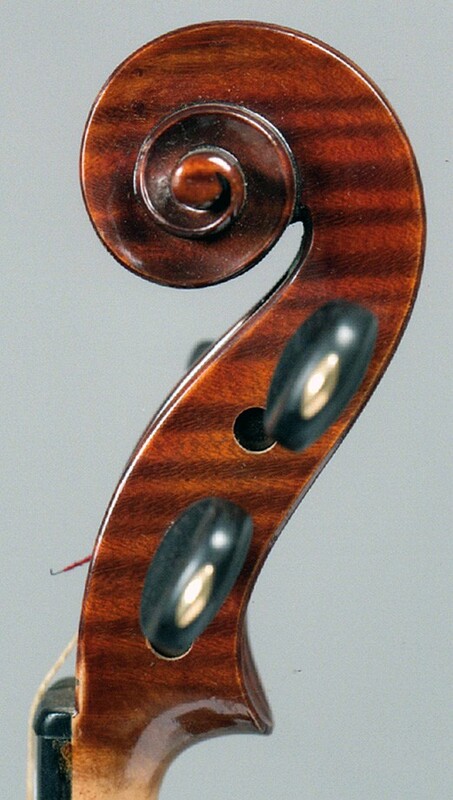 No cracks, some minor surface scratches you may expect from an old used violin. A violin with a strong sound and projection, open but warm timbre. Size back: ca. 356 mm (4/4). Marc André Joseph Laberte (29 May 1880 – 29 March 1963) son of Pierre Alexis Auguste Laberte, was trained as a luthier as well as a bow maker. As early as 1911, he began to play an active role in the Laberte-Humbert Frères company. The Laberte workshop produced large range of instruments and bows consistent in quality, employed over 300 people by 1920. In addition, many skilled master makers worked for Laberte, including Camille Poirson, Charles Brugere, and Georges Apparut. The workshop owned a fine collection of instruments from all the famous makers including Antonio Stradivari, Guarneri del Ges&ugrave, Giuseppe filius Andrea Guarneri, Francesco Ruggeri, Nicolas Lupot, Jacob Stainer, and Jean-Baptiste Vuillaume. They were meticulously examined and used as models for their own instruments. The workshop was disrupted in the war, and productions resumed after the war ended. The workshop continued for several years before it eventually closed down. The Workshop In 1915 Marc Laberte joined Fourier Magnié (1868-1946) and established the new firm under the name "Laberte-Humbert Frères, Fourier Magnié Réunis". A comprehensive catalogue, including the complete range of products and instruments in the lutherie field was published by the firm that same year. In 1927, the firm continued its development by buying the well-known trademark "A La Ville de Cremonne” from Paul Mangenot. One can find this mark stamped with its characteristic triangular shape on the inside back of many good Mirecourt violins of the 19th century. the last of whom was first to have used this trademark. Soon thereafter in that same year, a new catalogue including the recently acquired brands was published, this time under the name Laberte & Magnié. It is interesting to note that this same catalogue includes two pages dedicated to the collection of antique Italian instruments belonging to Marc Laberte and the “copies” available for purchase that were made after the originals. Laberte received the Grand Prix for the Stradivox Magné, a phonograph, which was produced in different versions. These attempts at diversification were made to help the firm withstand the increasing competition and recession effects during that period. Unfortunately, World War II brought despair on Mirecourt as well as the rest of Europe. The Laberte production ended entirely, as the stock and production tools were raided and stolen. climate during the post war years, led to the unavoidable decline of the Laberte production. Philippe Laberte, Marc Laberte’s son, joined the firm during this period and tried to maintain a production catered toward the high end of the market. I 'm very happy with this beautiful violin ! It sounds very good - we put another bridge on it and changed the strings, butthe final result is stunning. Thanks for the good support and advice !